In track and field, the 4 by 400M relay race is the creme de la creme of athletic ability. 4 of your nations fastest running in sequential order, passing a small aluminum baton between them as each athlete thunders around the 400 meter track. A quarter of a mile in 45 seconds. It’s blazing fast. In the past Summer Olympics, the first place team annihilated the other teams with breakaway wins. Typically, the strongest runner is saved for the Anchor Leg—the final lap around the track. But in this race, the anchor’s team has given him such a large lead that all he has to do is securely hold onto the baton and cross the finish line. This is a great glimpse of how teamwork and partnership should work. Everyone striving for one goal. And everyone doing their job so well that the most competent person on the team is almost worked out of a job. It’s the height of execution. However, invariably in these races, there are teams that struggle, drop the baton, and when they get to their anchor runner, they’re so far out of the lead that it’s almost not even worth the anchor racer running his lap. When looking to partner with an organization, don't limp into the meeting, extend your 8th Place Baton and say, hey run with us, we’re in last place but with you we can win! You’ve already started on the wrong foot and are so far out of the race, that it’s going to take more than hopping on the track with you to win the race. It’ll take a deep dig into the team’s culture, training, and understanding the new team’s potential before we can even hope to run a decent race, much less win one. No extraordinary girl wants a guy extending the 8th Place baton. No award-winning company wants an 8th place employee. No rockstar team wants a lolligagger limping around the track. Be disciplined. Be honest about where your team is in its process. And when asking for partnership, be willing to rebuild, rework, and restructure before immediately jumping onto the track. 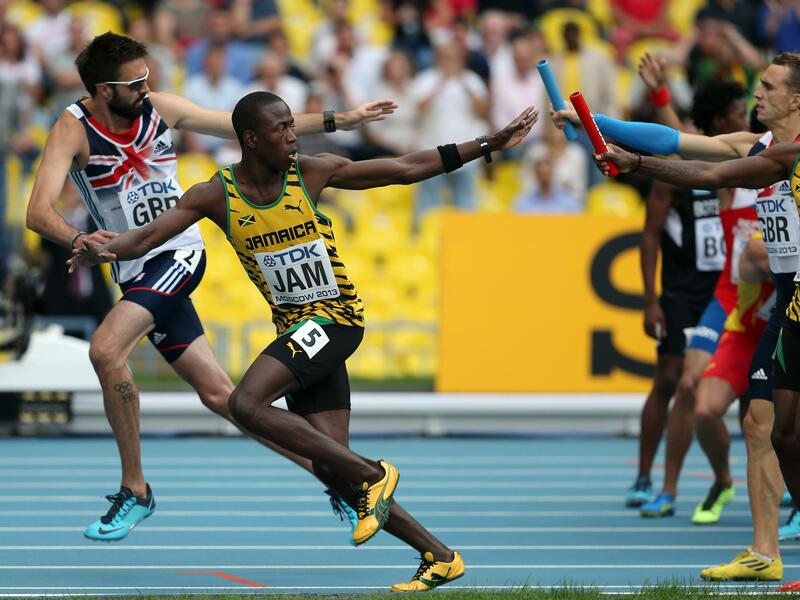 There’s nothing wrong with an 8th place baton when you’re starting out. But don’t extend it and hope someone’s going to save the day and win the race for you on the final lap. Growing a business doesn’t work that way.